Marvel has teased that Daredevil isn't quite over yet. Yesterday, Netflix announced that they had canceled Daredevil after three seasons, which led to an epic uproar amongst fans. While the viewership had declined over the years, Marvel fans were extremely happy with Season 3 and the previous seasons as well. Fans have been posting screenshots of their cancellations of Netflix subscriptions on social media in response to the Daredevil cancelation. However, it looks like there is going to be more to come for Matt Murdock. The Netflix statement from yesterday left off on a good note for Daredevil fans, noting that the "character will live on in future projects for Marvel." While that was vague, it was at the very least, a little bit of positivity. Star Deborah Ann Woll and executive producer Sam Ernst seemed to be shocked by the cancellation news, but it appears that Marvel already has other plans for the character. Marvel's statement reads this. "Marvel is extremely grateful to the huge audience that loved Marvel's Daredevil. From the moment of young Matt's first act of heroism to the birth of Page, Murdock, & Nelson, it has been an unbelievable journey. We are incredibly proud of the amazing showrunners and writers starting with Drew Goddard and Steven DeKnight, Marco Ramirez and Doug Petrie and Erik Oleson, Charlie Cox, Deborah Ann Woll, Elden Henson, Vincent D'Onofrio and our casts who brought our characters to life with such excellence, and every one of the fantastic crews in NYC. We look forward to more adventures with the Man without Fear in the future." 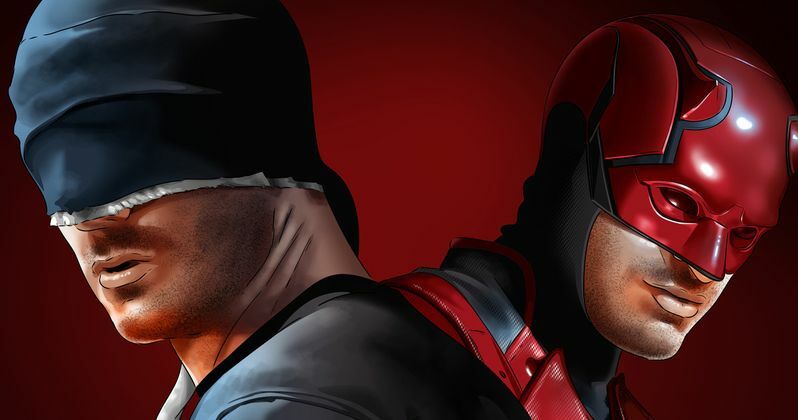 It isn't clear what Marvel has planned for Daredevil, but the obvious speculation goes to the Disney+ streaming platform. However, that has yet to be confirmed at this time. After the cancellation news was made public, the official Twitter account for the show posted a picture of Nelson, Murdock, and Page along with a caption that says, "justice never stops." It's possible that Matt Murdock could end up in The Punisher, or even Jessica Jones as well, depending on if those shows get the axe at Netflix. Daredevil is the third Marvel show to be canceled in the last few months, following Luke Cage and Iron Fist. With the three Marvel cancellations coming up so close together, it looks like there could be a future for the characters at Disney+. We'll just have to wait and see if the upcoming Season 2 of The Punisher gets canceled next. Jon Bernthal's Frank Castle was first introduced on Daredevil Season 2, and he was a large part, which has led to thoughts about the two teaming up again in the future. It's believed that The Punisher Season 2 will be released in early 2019 and it's unclear when Jessica Jones Season 3 will be released, but a mid-2019 premiere seems like a safe bet. It's going to be interesting to see what Marvel decides to do with Daredevil in the near future. It seems that most fans would be perfectly content if the show continued on the Disney+ streaming platform, but that has yet to be confirmed at this time. The future of Iron Fist and Luke Cage are also currently unknown as well, so hopefully some announcements are made soon. This news was first reported by Deadline.